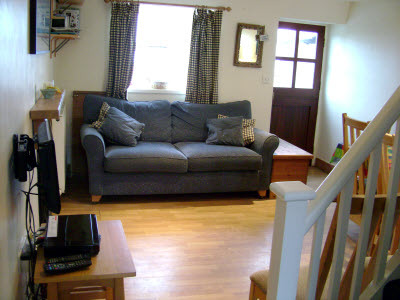 The front door opens directly into the comfortable and airy lounge with wooden floor and log burning stove. There is an extremely comfortable sofa and large extendable dining table and chairs. There is a flat screen television, with BT Vision and DVD. The cottage has the benefit of Wi-Fi. 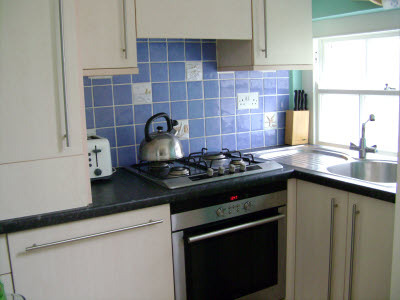 The lounge leads directly to the fully appointed and equipped kitchen area, which has modern appliances including a gas hob, oven, fridge with small freezer section, together with a dishwasher. The bathroom, also leading off from the lounge at ground floor level, benefits from a full-size bath with shower, a heated electric towel rail, together with a washing machine and with dryer facility. Fairly steep stairs lead from the sitting room to the landing, off which there are three bedrooms on the first floor. 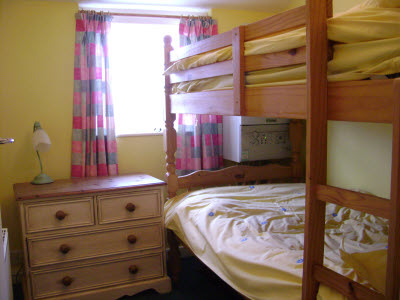 The front bedroom, with stunning views over the church and bay, has a double bed and fitted wardrobe. 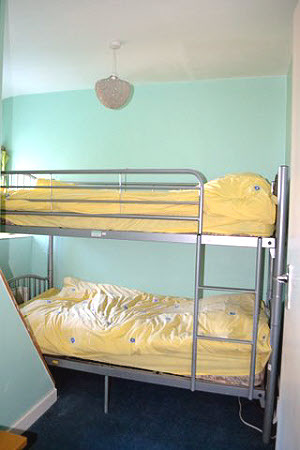 The back bedroom has twin full size bunks and a chest of drawers. 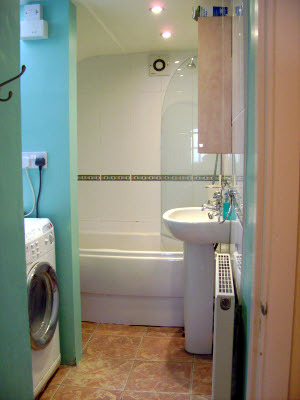 There is a combi gas boiler providing central heating for the entire cottage, and hot water on demand. In addition there is a log burner in the lounge providing homely warmth when necessary. There is a patio at the front of the property overlooking the beach, slipway and St Hywyn’s Church, with outside chairs provided, and is ideal for sitting in the sun, gazing out to sea and watching the world go by. 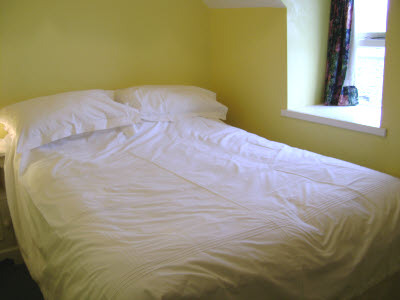 The cottage has an associated boat shed providing private car parking spaces in an area in the centre of the village, no more than two minutes walk away.